so, booger- SUPPORT THE WALL WE DEMAND TO BE BUILT. There goes the millennial vote. 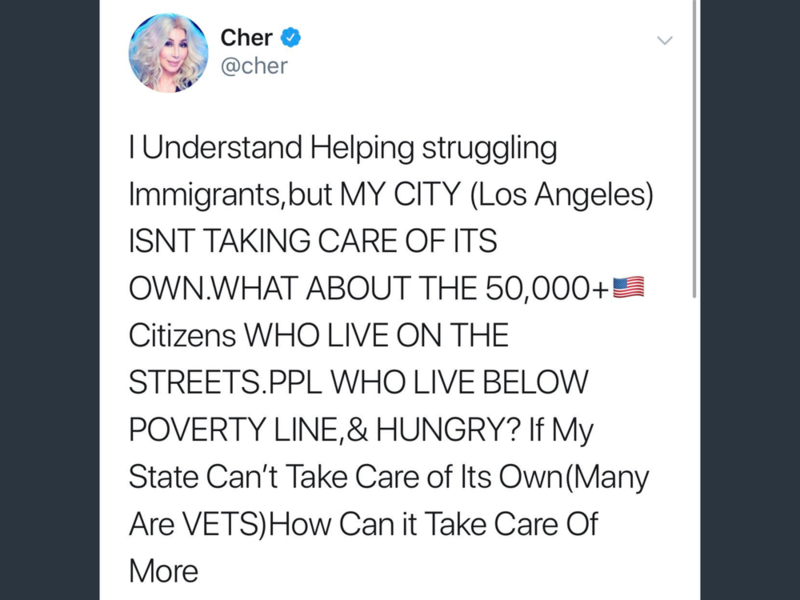 Here’s a classic, Cher is doing a 180 on her immigration stance. Glad she's coming around in her old age.